Tech N9ne’s KLUSTERFUK EP had plenty of surprises for fans. From being entirely produced by ¡MAYDAY! to reaching #6 overall on the iTunes charts, the EP has picked up a lot of buzz in its first week. Still, the biggest wow factor may have come from Krizz Kaliko himself as he channeled his bi-lingual skills for a stand out bridge on “Can’t Stand Me”. Catching listeners completely off guard, Kaliko dropped in for a bridge in Spanish on the first of his two appearances for KLUSTERFUK. While Kaliko’s Spanish may have been pleasing to the ears, a lot of fans had no idea what it meant. Let’s face it, not everyone paid attention in Spanish class. With Krizz Kaliko’s guest spot still getting plenty of attention, we decided to break down the translation from Spanish to English and finally get a better understanding of “Can’t Stand Me”. Check it out below! Editor’s note: “Deshonrar” actually has a few meanings that include: disgrace, dishonor, to shame, and to deflower. Based on the song’s theme, we thought disgrace was the most fitting. Click here to purchase KLUSTERFUK on iTunes. 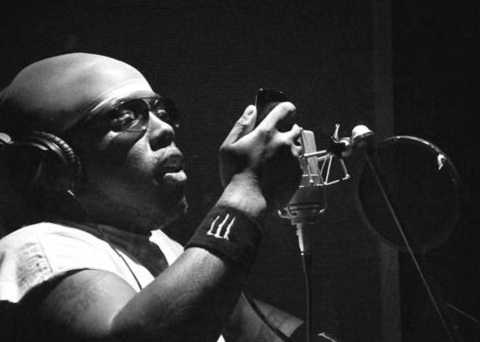 Were you able to translate Krizz Kaliko’s Spanish on your own?